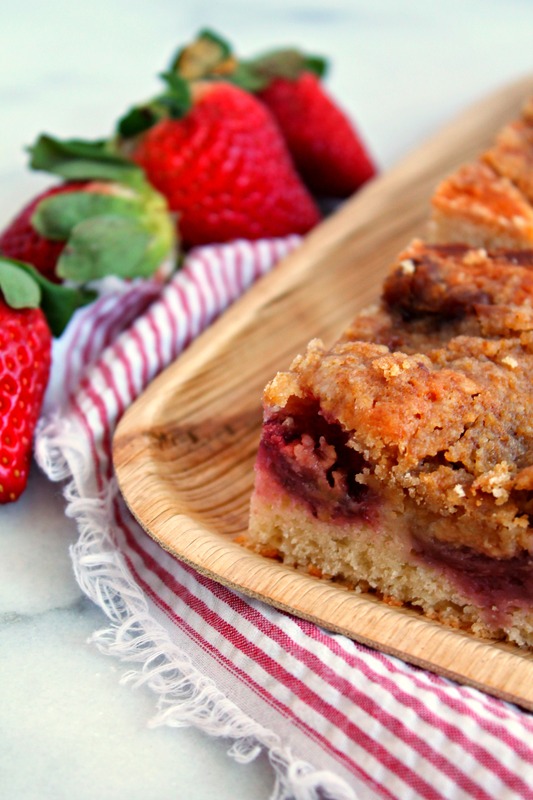 Strawberry crumble coffee cake is a sweet treat for brunch or dessert. It’s easy to make and takes advantage of the fresh Florida strawberries that are in season right now. With strawberry season in full force down south, I’m craving spring to finally arrive in New England. And while Mother Nature takes her sweet, sweet time – I’ll be enjoying this sweet, delicious coffee cake recipe! Disclosure: I have an ongoing partnership with Stonyfield, as a member of their Clean Plate Club. I was provided with free product to use for recipe development. As always, all opinions are 100% my own. It’s said that “April showers bring May flowers”, but New England has been under a full force rainstorm for the past week and I’m so over it. I want spring to finally arrive and I’m forcing it by baking up sweet treats like this Strawberry Crumble Coffee Cake. Because you know what? It’s strawberry season in Florida, strawberries are $1.97/pint at my local grocery store, I bought way too many pints, and now I’m up to my neck in fresh berries that need to be used up quickly. I’ve sipped on my favorite strawberry cocktail, snacked on ham-strawberry sliders, and woke up to a stack of pancakes topped with fresh strawberry compote. But the strawberries just seemed to multiply in my fridge, so some baking had to be done, and that is when I came up with this quick and easy Strawberry Crumble Coffee Cake! To make this cake extra delicious, 100% Grassfed Strawberry Stonyfield Yogurt was used – because it’s the natural thing that cows feed on lush green grass. And when paired with sun ripened strawberries, it makes your cake sublime! I hope you love this strawberry crumble coffee cake as much as I did! 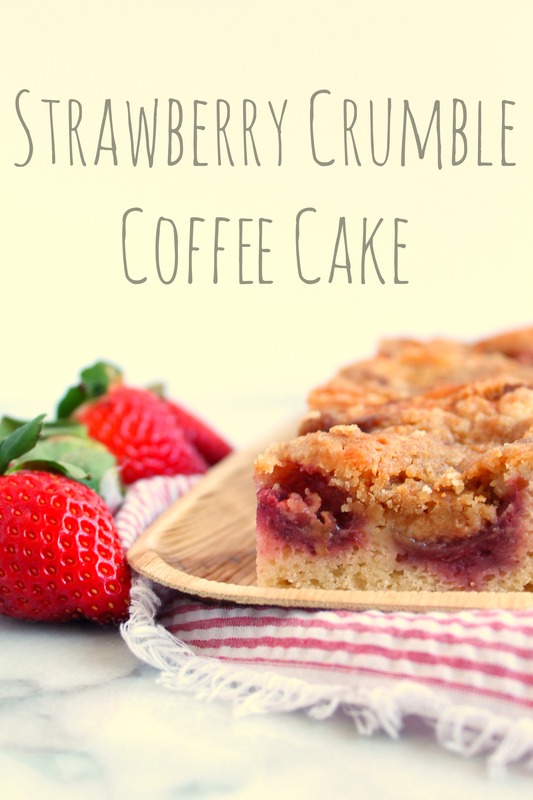 Enjoy this fresh strawberry crumble coffee cake - perfect for breakfast or as an afternoon treat! Preheat oven to 350F and grease a square pan. To make crumb topping, mix all the ingredients until combined and crumbly like wet sand. For cake, in stand mixer cream the sugar, butter, and salt until fluffy, about 5 minutes. Add the yogurt, egg, and milk and mix until combined. Add the flour and baking powder and do not over mix. Pour batter into greased cake pan and top with sliced fresh strawberries. Sprinkle crumble on top evenly and bake for 35-45 minutes, until golden brown. Let cook for an hour before slicing.